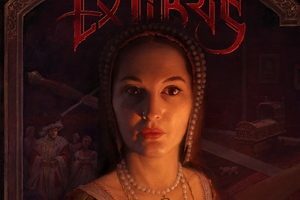 Now two-thirds of the way through their ANN concept, Ex Libris bring us the tale of Anastasia Romanova for Chapter 2. Intriguingly offering a unique style and feel that is separate from Chapter 1 (Anne Boleyn), there’s a taste of Russia not just in the lyrics but in the music itself. What ties them together is the integrity and genuine care that is taken to insure that the 3-song concept is executed in all the right ways. As with Chapter 1, we were also lucky enough to grab a few minutes with vocalist Dianne van Giersbergen over Skype to discuss everything about bringing Chapter 2 to life. We also talked about International Women’s Day, working with producer Joost van den Broek, and even some jest about her lack of free time. Dead Rhetoric: What drew you towards Anastasia [Romanova] for this second chapter? 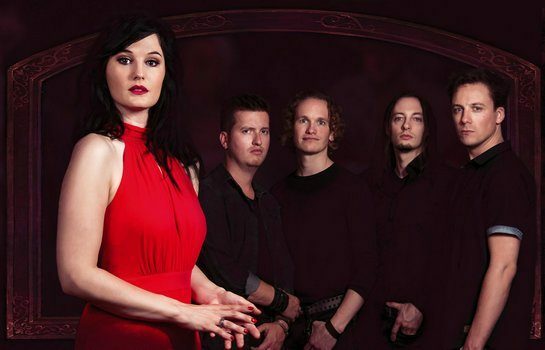 Dianne van Giersbergen: It was actually our keyboard player who came up with her story. I wasn’t too familiar with it, so I really had to learn everything there was about her. Especially in comparison to Anne Boleyn. I’m a huge fan of English history so I knew a lot about her already. But for Anastasia I really had to learn, and learn how to love her. Anne Boleyn was much closer to me – she is a woman who has her mind made up, and when she wanted something she pursued it. Anastasia, before she was actually imprisoned, was imprisoned by the negativity of her parents, which eventually led to their downfall. It’s an innocent person in a situation that she has no understanding of. Dead Rhetoric: In regards to the EP itself, one thing I really liked was how it sounds like something that would come out of Russia, at least to my ears anyway. van Giersbergen: That’s exactly how we feel. At the very end when we heard it all coming together, we thought it did sound Slavic. I hope that people will notice that too. We actually had a native speaker in with us during the listening sessions, and she said it as well. That was a bit approval if a native speaker says that it sounds like their home country. So we managed! When we think of the Czars, we think of how rich they were – the gold surrounding them, big palaces, and a love of ceremonies. It was very important for us to put that into the music, and made to contrast what they were really focusing on – their son, the heir to the Russian throne. He had a horrible disease that is now beatable but wasn’t then. I really loved this contrast – loved might be a silly word but they were living on such a small scale. It was all within the family and making sure they survived. But the role they played in the world was gigantic! The public and private sides to them – it’s an interesting topic to write about. 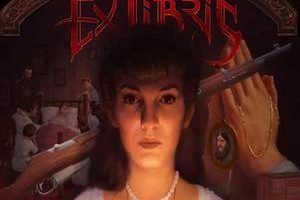 Dead Rhetoric: Did you learn anything surprising doing your research for the EP? van Giersbergen: Surprise is an interesting term. I went in it with an open mind and not expecting anything. When you don’t expect anything, it is hard to be surprised. I read everything, and I also watched a lot of documentaries. I just took everything in. What I did feel in reading about her mother Alexandria and how far she went with her beliefs and putting Rasputin on a pedestal and baptizing him as the savior for her son – that sparked an itch with me because I cannot stand it when people are that narrow-minded and hold onto something and don’t think for themselves anymore. In some way, I do understand, because you are speaking about the life and death of a child. I understand that it can drive you to do something like that, but on the other hand I’m like, “Uggh, woman! Think!” [laughs] So that didn’t surprise as much as it astonished. Dead Rhetoric: How do you view the connection between making the music itself sound from that time period, alongside the lyrical content? van Giersbergen: It has to go hand in hand – it’s a story. Both music and lyrics should tell the story and pay tribute. Things should be accurate. When you try to make a tribute to something real, I think you have to go as far as you can. We also used a balalaika because it is a typical Russian instrument – but in such a way that it would support the arrangement without being cheesy. It’s easy to make something sound cheesy. For example, if the story would have been placed in China, the most obvious thing would be to use a pentatonic scale. We wanted to avoid that. It’s not pure and it’s not honest. It would make me skip the album, and that’s not what we want to do. We want to draw people into the story, and have them live it as if they are really there. That’s how I am singing it – like I’m really there. The passage at the end, where she is begging for her life – after doing so much research you really come to know, or you think you become to know the character. At the end, like the writer at the end of the book, you have to kill off this character that you have come to love and understand. We recorded that passage in one take, and it was so extremely intense to do. I was really shaking and almost crying – really fast breathing, and you can hear it. It was recorded in a very real and beautiful way. My parents actually had to cry when they heard it. For them, it’s their daughter crying [laughs]. But that’s the kind of purity we want in all of these chapters. Dead Rhetoric: You’ve talked about doing research and getting into character, how much would it really take to get you into acting at this point? van Giersbergen: To be honest, I don’t know. If someone has an audition for me [laughs]! But the one thing is has to be is dramatic. Apparently that’s my thing. She has to be killed [laughs]! I don’t know if I could play someone who is really happy. I think I can, because most of the time I’m a very upbeat person. In portraying someone, it needs to be the other side. That’s why I love doing it. Being on the stage and being able to portray the other part of life keeps me in balance. Dead Rhetoric: You have these strong, female characters and it is International Women’s Day. What kind of relevance that this particular day has in terms of the metal community? van Giersbergen: I know that a lot of colleagues of mines have strong opinions about women being accepted in metal – that we are still far from there. I know about this, but on the other hand, I’m not someone who wants to do a campaign about that. I’m also a believer that the more attention that you pay to a subject, the more it gets a rite of existence. I don’t want to make it bigger, or pretend that it is something that it is not. I’ve been asked this question many times, and to be honest, I’ve never really felt discriminated for being a woman in metal, or for the music that I make. If someone chooses to scream about that, and point the finger at someone else, I think it says far more about the one pointing the finger than at whom they are pointing the finger at. This is not only in metal, this is a statement that I think could go worldwide. We are so busy thinking what the other one thinks of us, that if we don’t receive enough love from the ones that follow us, we start pointing at others to establish who we are. I don’t think that’s the way to self-love, and I don’t think that’s the key to making you happy. Dead Rhetoric: Jumping way back to the album, what do you feel working with Joost van den Broek adds to Ex Libris’ sound? van Giersbergen: A whole lot! Of course, symphonic metal is his thing. He was the perfect producer for coaching us for this chapter and also challenging us to go a bit further. Working with the choir would have happened if not for him, because we had to record it on location and he just said, “No problem, we will fix it. If you can get the choir to do this, I’ll make sure that we can arrange the recordings.” So we did – it was a magical evening. Our choir arrangement came to life on that evening and I was flabbergasted. I’m a sucker for great voices, but hearing that big group of men singing – I can’t describe it with words but it was amazing! It was wonderful. Furthermore, Joost and I have already worked together before. We started working together when I was in Xandria. So he knows me, and he knows my voice. He knows what I can do, and he also knows where and how I sound best. It’s nice to be working with him again. Be it as it may, lay my voice in his hands. To be honest, to argue about it a little bit…I have my opinions and he has his. I’m not one to just sit and agree on everything [laughs]. But in a good way, because we always find a resolution where we both agree it should be. I like that he is not afraid to speak his mind, and I’m quite a strong character and he simply doesn’t care. I think I need that [laughs]! He’s like, “You can think that, but let’s try it my way.” Before I can say no, he has already hit the record button and I can only sing. But don’t tell him I said that [laughs]! Dead Rhetoric: What have you found to be refreshing in just fully diving into each chapter on its own? van Giersbergen: What I love is that we are doing this process part-by-part. For every chapter, we are writing, rehearsing, pre-production, and then recording. Then we do all the promotion. It means that I haven’t read a single thing about the character for the next chapter. It’s kind of scary because it has to be finished in like 6 months. But on the other hand, it does make sure that I keep my focus. My focus is solely with the one character. I wouldn’t dream of mixing the details up. That would be so wrong. I think I love that best. There are different steps in all of the chapters, and each one brings something else, and I think that keeps it refreshing. What I love as well, and what some people don’t get it, is that we aren’t releasing the album all at once. But I say, look at DJs all around the world. They release a track each month. They don’t do albums anymore. We stuck to albums because we had cds, and they had 60-70 minutes that would fit on a cd, so we would do an album. Why limit ourselves to cds now? Why not treat our fans and followers to new music every half a year? I think this is far better. Dead Rhetoric: The way that you are doing it – there are some huge positives to it. It stays in people’s minds, and as we were saying, it sounds unique each time so it pulls them back in. van Giersbergen: I think so too, yes. The energy span is much better. Here you have 10 new songs, and now you wait 1.5 or 2 years and do it again. This is much better – it’s like me telling everyone scary bedtime stories and they have half a year to get over it, and then there’s me again [laughs]! Dead Rhetoric: You have Ex Libris, your jewelry line – what do you do when you have a free minute at this point? van Giersbergen: What’s this freedom you are talking about [laughs]? I’m bathing in freedom actually, which is why we are able to do Ex Libris the way we are now. I’m doing a lot for the band. We don’t have management, a booker, a publishing agent, or a label. So everything they do, I have to do now. I’m beyond busy with that. It’s crazy! It does bring some respect for third parties, but on the other hand, if you work with third parties, they also decide certain things for you. I love that, although it’s a lot of work, we can decide everything for ourselves as a band. So that is freedom, but there isn’t much time left to do nothing [laughs]. I simply wouldn’t know what I would do if I had a spare minute. I think I would just make more jewelry! It’s a family trait – none of the women in my family can sit still and do nothing. My mother is a politician, and whenever she is sitting in front of the TV, she is still doing something, like reading reports or writing emails, or whatever she has to do for her job. My sisters are the same. I think it’s a family trait, but it has worked out very nice for me. Dead Rhetoric: So lastly, what’s the future look like from here? You said it’s about 6 months for Chapter 3. Are you planning on doing any one-off shows between now and then? van Giersbergen: We are thinking about that. It won’t be before the release of the third chapter, and I find it really funny since all of these characters are dying [in each chapter], but I am dying to play live [laughs]. I really want to go live, because I think it would be very special for me. It has been quite some time now, since I have entered the stage again. I have an urge, a need, to sing my heart out. I think these three ladies are very much allowing me to do that. I can’t wait. We are certainly looking into that.